ABSTRACT: An implementation of the weakly compressible smoothed particle hydrodynamics (WCSPH) method is demonstrated to determine the hydrodynamics coefficients through radiation problem of an oscillating 2D rectangular box. Three possible modes of motion namely swaying, heaving, and rolling are carried out to establish the influence of oscillating motions in predicting the added mass and damping. Both solid boundary and fluid flow are modelled by WCSPH and validated by the potential flow and experimental results. Discrepancies observed at lower frequencies are further investigated using different particle resolutions, different time steps, and extending the domain with longer runtime to demonstrate the performance of WCSPH. Finally, flow separation and vortices are discussed and compared with experimental results. ABSTRAK: Bagi fenomena yang melibatkan radiasi dalam air, segiempat kotak 2D diosilasikan dengan menggunakan simulasi WCSPH untuk memperoleh pekali hidrodinamik. Mod osilasi terbahagi kepada 3 iaitu sway, heave dan roll. Osilasi dengan mengguna pakai kotak akan mempengaruhi pergerakan air dalam menentukan nilai penambahan jisim dan rendaman. Keseluruhan domain air dan sempadan telah dimodelkan dengan menggunakan WCSPH. Semua model tersebut kemudiannya akan dibandingkan melalui keputusan eksperimen dan teori. Jika keputusan melalui kaedah WCSPH ini berbeza, terutama pada frekuensi rendah, penyelidikan lanjut akan dilakukan dengan menggunakan zarah resolusi yang berbeza, langkah masa yang berbeza dan menambah masa domain ujikaji bagi menilai keputusan WCSPH. Akhirnya, kriteria aliran dan kadar pusaran yang terhasil di sekeliling kotak akan dibincang dan dibandingkan bersama keputusan eksperimen. Hochkirch K, Mallol B. (2013) On the importance of full-scale CFD simulations for ships. In 11th International conference on computer and IT applications in the maritime industries, COMPIT. Tezdogan T, Demirel YK, Kellett P, Khorasanchi M, Incecik A, Turan O. (2015). Full-scale unsteady RANS CFD simulations of ship behaviour and performance in head seas due to slow steaming. Ocean Engineering, 97:186-206. Shadloo MS, Zainali A, Yildiz M, Suleman A. (2012) A robust weakly compressible SPH method and its comparison with an incompressible SPH.International Journal for Numerical Methods in Engineering, 89(8):939-956. Chen Z, Z. Zong, M. B. Liu, and H. T. Li. (2013) A comparative study of truly incompressible and weakly compressible SPH methods for free surface incompressible flows. Int. J. Numerical Methods in Fluids, 73(9):813-829. Monaghan JJ. (1996) Gravity currents and solitary waves. Physica D, 98:523-533. Rezavand M, Taeibi-Rahni M, Rauch W. (2018) An ISPH scheme for numerical simulation of multiphase flows with complex interfaces and high density ratios. Computers & Mathematics with Applications, 75(8):2658-2677. Chow AD, Rogers BD, Lind SJ, Stansby PK. (2018) Incompressible SPH (ISPH) with fast Poisson solver on a GPU. Computer Physics Communications, 226:81-103. Antuono M, Colagrossi A, Marrone S, Lugni C. (2011) Propagation of gravity waves through an SPH scheme with numerical diffusive terms. Computer Physics Communications, 182(4):866-877. Xenakis AM, Lind SJ, Stansby PK, Rogers BD. (2017) Landslides and tsunamis predicted by incompressible SPH with application to the 1958 Lituya Bay event and idealised experiment. Proc. R. Soc. A, 473(20160674), 20160674. Heller V, Bruggemann M, Spinneken J, Rogers BD. (2016). Composite modelling of subaerial landslideâ€“tsunamis in different water body geometries and novel insight into slide and wave kinematics. Coastal Engineering, 109:20-41. 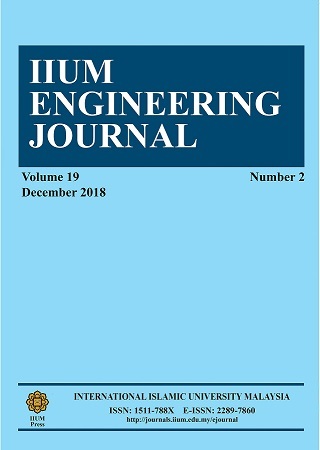 Weiss R, Munoz AJ, Dalrymple RA, Herault A, Bilotta G. (2011) Three-dimensional modelling of long-wave runup: Simulation of tsunami inundation with GPU-SPHysics. Coastal Engineering Proceedings, 1(32):8. Vacondio R, Rogers BD, Stansby PK, Mignosa P. (2012) SPH modelling of shallow flow with open boundaries for practical flood simulation. J. Hydraulic Engineering, 138(6):530-541. Ramli MZ, Temarel P, Tan M. (2015) Smoothed Particle Hydrodynamics (SPH) method for modelling 2-dimensional free surface hydrodynamics. Analysis and Design of Marine Structures V; 45. Liu GR. (2010) Meshfree methods: moving beyond the finite element method. CRC press. Wendland H. (1995) Computational aspects of radial basis function approximation, Elsevier. Crespo AJC, DomÃ­nguez JM, Rogers BD, GÃ³mez-Gesteira M, Longshaw S, Canelas R, GarcÃ­a-Feal O. (2015) DualSPHysics: Open-source parallel CFD solver based on Smoothed Particle Hydrodynamics (SPH). Computer Physics Communications, 187:204-216. Adami S, Hu XY, Adams NA. (2012) A generalized wall boundary condition for smoothed particle hydrodynamics. J. of Computational Physics, 231(21):7057-7075. Crespo AJC, GÃ³mez-Gesteira M, Dalrymple RA. (2007). 3D SPH simulation of large waves mitigation with a dyke. J. Hydraulic Research,45(5), 631-642. Lee ES, Moulinec, C., Xu, R., Violeau, D., Laurence, D., & Stansby, P. (2008). Comparisons of weakly compressible and truly incompressible algorithms for the SPH meshfree particle method. J. Computational Physics, 227(18):8417-8436. Pringgana G, Cunningham LS, Rogers BD. (2016). Modelling of tsunami-induced bore and structure interaction. Proceedings of the Institution of Civil Engineers-Engineering and Computational Mechanics, 169(3), 109-125. Shao S, Lo EYM, Crespo AJC, Altomare C, DomÃ­nguez JM, GonzÃ¡lez-Cao J, GÃ³mez-Gesteira M. (2017) Towards simulating floating offshore oscillating water column converters with Smoothed Particle Hydrodynamics. Coastal Engineering, 126, 11-26. Monaghan JJ. (2005) Smoothed Particle Hydrodynamics. Reports on Progress in Physics, 68:1703-1759. Mokos, A. (2014). Multi-phase modelling of violent hydrodynamics using smoothed particle hydrodynamics (sph) on graphics processing units (gpus) (Doctoral dissertation, The University of Manchester (United Kingdom)). Meringolo DD, Aristodemo F, Veltri P. (2015) SPH numerical modelling of waveâ€“perforated breakwater interaction. Coastal Engineering, 101:48-68. Tafuni A. (2016) Smoothed Particle Hydrodynamics: Development and application to problems of hydrodynamics (Doctoral dissertation, Polytechnic Institute of New York University). Vugts JH. (1968) The hydrodynamic coefficients for swaying, heaving and rolling cylinders in a free surface (No. Report No. 194). Standing RG. (1991, January). Prediction of viscous roll damping and response of transportation barges in waves. In The First International Offshore and Polar Engineering Conference. International Society of Offshore and Polar Engineers.